Thanks for visiting our website. We have been missionaries serving with African Bible College since 2005 in Lilongwe, Malawi, a small country in Southeast Africa. We're both from California originally, Becca from Nor Cal and Kellen from So Cal. We both went to college in San Diego but ended up meeting when we arrived in Malawi to teach at ABC Christian Academy in August 2005. What started as a one-year short term commitment right out of college, has turned into a calling to long-term service in Malawi. We're as excited and grateful as ever to be a part of God's work in the beautiful country of Malawi. 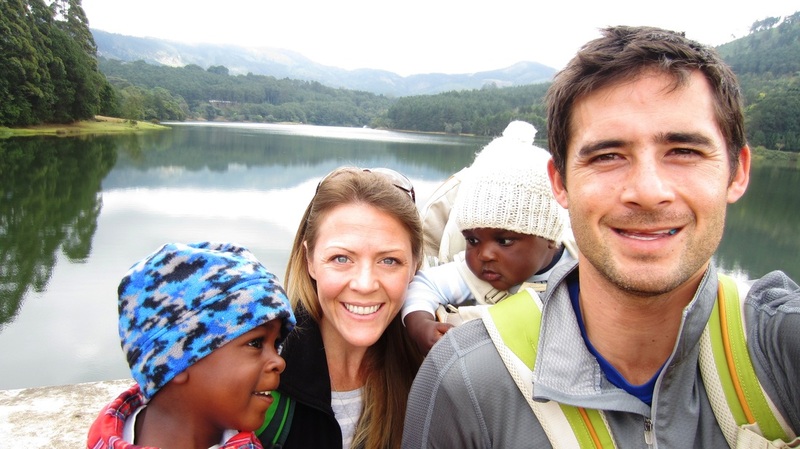 After a lengthy process of identifying a child to adopt from Malawi, Yamikani came home with us November 30, 2011, and officially became our son back in May of 2012. Our second son, Jaden Thokozani, came home with us in April 2014 and we are thankful to say officially become a Hiroto June 2016. They are both remarkable examples of God's blessings to us. We're thankful to be involved in a variety of ministries here in Malawi. Our primary ministry is at African Bible Colleges with the students of the Academy and College. We are also very involved with an orphan care ministry called Bright Vision in a nearby village. Regardless of who it is we come in contact with, we desire to intentionally live out and preach the Gospel of Jesus Christ. Our hope for this website is that you get to know us, get to know Malawi, and get excited about a part of what God's doing to grow His Kingdom in Malawi. We'd be glad to interact with you about anything that you find here or any questions you may have. Find Kellen and Becca's contact information by visiting out Get Involved page. Click here to sign up to get our Update Letters! Click here to support our family!